Based on reviews from 348 experts and 49,051 users. Learn how our rankings work or see our guide to Adidas running shoes. Updated Apr 2019. When it comes to unlimited sports potential, Adidas running shoes will make sure that you remain on top of your game. With high-performing running shoes, the shoe brand’s dedication to providing a blend of performance and style in every run is obvious. The new technologies of Adidas constantly are developed for high performance, yet not all of them gain high ratings and great reviews. If you want a trusted brand for your running needs, not hurt to pick a pair or two. ClimaChill - Adidas Climachill fabric offers both cooling effect and breathability. It has microfibers that allow moisture to go through, keeping the foot moisture and odor-free. This technology is also being used in Adidas Climachill Polo, tanks and training shorts. ClimaLite - The ClimaLite is built to wick sweat or moisture away from the foot. The innovative material features a cotton fabric on the outer part and a synthetic material beneath it. In warm running conditions, the ClimaLite fabric keeps the foot cool and dry. This technology is being used in some Adidas sneakers, training shoes and other sports apparel. ClimaCool - ClimaCool is another moisture-wicking fabric engineered by Adidas. It efficiently pulls moisture and sweat away, especially on warm running conditions. The fabric is breathable and provides a comfortable foot wrap. This technology was first used on a tennis polo shirt and later, it is being used in Adidas football boots, pants, sneakers, and training suits. Climawarm - Climawarm is made of woven synthetic fibers that are lightweight and breathable. It is designed to keep the foot warm for winter weather. With this technology, runners have no reason, not to their regular running routine on a cold running condition. For a warmer coverage, Adidas upgraded this technology and formulated the Climawarm+. ClimaProof - Providing all-weather protection, the ClimaProof is another successful innovation from Adidas. It is engineered to regular body temperature and provide protection against extreme rain, wind, snow, and storm. Aside from its protective feature, the technology offers breathability and moisture-wicking capacity. ClimaProof is utilized in some Adidas running shoes, jackets, backpacks, and boots. BOOST - The BOOST is one of the well-known technologies widely used in most Adidas running shoes. It is made of hundreds blown TPU energy capsules. The tech is built to provide responsive cushioning while keeping comfort unaffected. AdiPRENE/AdiPRENE+ - AdiPRENE is a notable midsole technology built to provide cushioning in the forefoot and heel. It has an efficient impact - absorption and high-energy capacity for a smoother and powerful transition. The AdiPRENE+ is the enhanced version of the AdiPRENE. This technology is also found in Adidas lifestyle shoes. Ethyl Vinyl Acetate (EVA) - This foam offers lightweight yet reliable cushioning. It absorbs impact during landing and delivers rebound for a responsive ride. It is less expensive compared to other Adidas midsole technologies. adiWEAR - It is a non-marking rubber material used in Adidas running shoes Since it is extremely durable, it is placed specifically in high-abrasion areas to prevent early damage. This Adidas technology also offers a good balance of flexibility and traction. The adiWEAR technology is also found in Adidas golf and tennis shoes. Blown Rubber - Blown rubber is an outsole material that is usually found in most shoes. This rubber is relatively lighter than other outsole technologies, and it is less expensive. It is also less durable, yet it offers added responsiveness and flexibility. Blown rubber outsole is typically found in less expensive running shoes. Continental Tire Rubber - Adidas has a collaboration with Continental, an international tire brand, and they developed a very durable outsole compound that offers reliable grip. The Continental rubber found in some Adidas running shoes are now also being used in hiking and snowboard shoes. Every runner needs a reliable pair of shoe to achieve the best possible running experience. Adidas has been manufacturing shoes for road running for decades, and they are packed with innovative technologies. Adidas running shoes, cheap or expensive, offer great features for both competitors and daily runners. Lightweight - Most of the Adidas road running shoes are lightweight. The materials incorporated into the shoes are light in nature, but they are still reliable on the road. Shoes for competition are the lightest because heavier shoes require runners to work harder on the race. Runners should look for a shoe that is lightweight yet supportive, and responsive. The Boost technology, for one, comes in a light and comfortable package yet it provides runners a springy, smooth ride. The upper materials, as well as the outsole unit, are kept as light as possible without affecting breathability and traction. Comfortable and Breathable - Adidas engineered several upper technologies to make sure that every runner is given a comfortable and breathable foot coverage. Aside from keeping the foot moisture and odor-free, Adidas running shoes also utilized materials that would wrap the foot snugly. The engineered mesh, knitted fabric, and synthetic materials provide flexibility and reliable support whenever necessary. Responsive - Adidas shoes for road running are designed to deliver flexibility and responsiveness. The creation of the Boost technology is the doorway of Adidas to creating more running shoes which offer a springy and responsive ride. Utilizing innovative technologies, Adidas road running shoes should offer satisfying running experience during competition and daily runs. 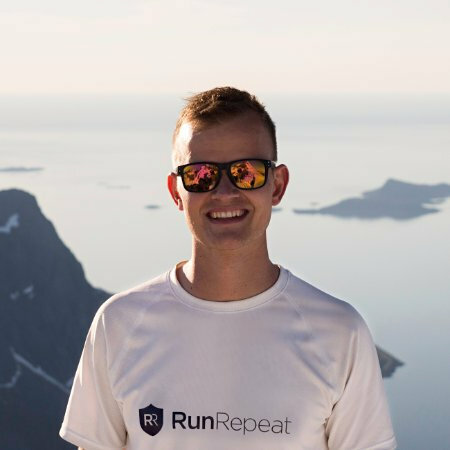 If you are a running enthusiast, you must have already tried the different road shoes from other brands like Nike, New Balance, Asics, and Brooks. When it comes to road running footwear, Adidas is a reliable brand one should consider. Below are some of the popular road running shoes from Adidas. It is an expensive road running shoe designed for neutral runners. The shoe features the notable Boost midsole technology which delivers better shock-absorption and responsiveness. In the upper is a Primeknit material which delivers breathable coverage and comfortable foot wrap. For added flexibility, the shoe uses a Stretchweb outsole and long with it is the Continental rubber which gives durability and traction on various paved surfaces. It also has a reflective knit upper to increase visibility on dark running conditions. The Adidas Ultra Boost has become a popular road running shoe because of its performance. Though it is expensive, most runners consider the shoe as a good investment. 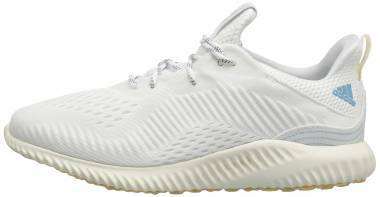 Another well-received running shoe from Adidas is the Adidas AlphaBounce. It is an affordable option for runners who are looking for a reliable, responsive, and comfortable daily running shoe. The shoe is packed with innovative Adidas technologies, from the upper to the outsole. The upper uses a ForgedMesh for breathability and comfort. On the midsole is the BOUNCE technology, created to give a bouncy ride. Lastly, the adiWEAR technology is used in the outsole together with the other elements that delivers traction and flexibility. The adiWEAR gives durability to high-abrasion areas without affecting the overall grip of the outsole unit. Another expensive yet well-performing shoe from Adidas is the Ultra Boost Uncaged. The model was first released in mid-2016, but it continues to satisfy runners with its features and street-ready design. The shoe uses almost the same technologies found in the Ultra Boost. In the upper is the Primeknit material for breathability and comfortable fit. In the midsole is the full-length Boost technology for responsive cushioning. Lastly, in the outsole is the Stretchweb rubber which is designed for flexibility and traction. This road running shoe has a 10mm heel drop, and it is ideal for daily training and long-distance runs. 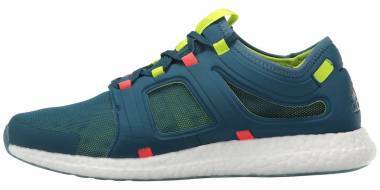 Reasonably-priced, the Adidas Pure Boost is another pair neutral runners should try. The shoe is designed for road running and daily training. It is a popular shoe because of its performance and design. The Pure Boost features the notable Boost technology, knitted upper material, and the reliable Stretchweb outsole. Aside from its performance-driven construction, the shoe will surely attract runners who are also looking for a running shoe with a casual look. This shoe is only available for men. The Adizero Boston Boost 6 is a lightweight road running shoe built for competition and quick-paced runs. Designed for men and women, the shoe has a heel-to-toe drop of 10mm, and it has a reasonable price tag. The Boost foam made up the midsole of the Boston Boost 6. It offers responsive cushioning while keeping the overall design lighter and flexible. For outsole durability, the adiWEAR element is used. On the upper of the shoe is the knitted fabric with a smooth mesh lining for breathability and comfortable in-shoe feel. On racing day, this shoe won’t disappoint Adidas fans. 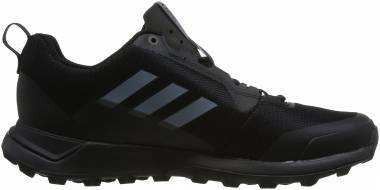 There are expensive and cheap Adidas running shoes for trail running to choose from. 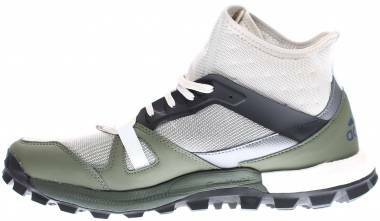 These shoes used trail-ready materials that are durable and of premium-quality. Each of the best Adidas trail shoes are packed with top-notch technologies to secure stability and comfort in every run. Waterproof/Water-repellent - Adidas trail shoes are either water-repellent or waterproof. For waterproof protection, Adidas incorporates the Gore-Tex membrane in the upper of the shoe. A water-repellent film is also added to shoes with water-resistant feature. Even if additional protective elements are being used, the upper remains to be breathable and adaptive. Durable Traction - Trail shoes should have a durable outsole to survive rough, uneven surfaces. Aside from a durable outsole, the right trail shoe should offer a reliable grip even on wet, slippery grounds. For durable traction on rough terrains, Adidas trail running shoes are using Continental rubber and Stretchweb technology. Protective Upper - When it comes to the terrain, trail running has a harsher condition. Trail running means you will run in uneven terrains, slippery and wet surfaces and there are other damaging elements such as sharp stones that would potentially harm you. To prevent undesirable events, Adidas trail running shoes are designed to deliver maximum foot protection. Upper and outsole materials should be thick and durable enough to protect the foot from sharp objects. Brands like Salomon, The North Face, and Merrell are known because of their reliable trail running shoes. These brands are using high-quality materials, from the upper to the outsole, to give runners satisfying off-road running experience. But with the premium material comes the higher price tag. 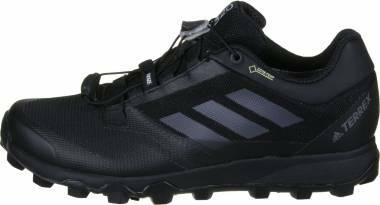 An affordable yet durable trail shoe, the Adidas Galaxy Trail offers a good blend of protection, underfoot cushioning, and traction. The shoe is one of the affordable trail footwear from Adidas. The upper has a good style and street-ready design. In the midsole is the Cloudfoam technology that extends from the heel to the forefoot. For reliable traction and durable outsole, the shoe uses a sticky rubber material that is also lightweight. The Galaxy Trail has a 7mm heel-drop and is built for neutral runners. Aside from being affordable, the shoe is also considered as one of the well-performing Adidas footwear. Another cheaply-priced trail shoe is the Adidas Rockadia. It is a lightweight trail shoe with a heel drop of 10mm. Packed with reliable Adidas technologies, the shoe won’t disappoint on rough terrains. It is not waterproof, nor water-repellent by it offers breathable upper, comfortable in-shoe fit, and durable traction. On the upper of the shoe is the flexible mesh material designed for maximum breathability, especially on warm running conditions. The shoe also has a responsive cushioning in the midsole and abrasion-resistant outsole. The presence of the adiWEAR compound makes the shoe more durable. With a price less than $100, the Adidas Incision is not just an ordinary trail running shoe. The shoe uses notable technologies to make the running experience more satisfying. In the outsole is the adiWEAR rubber that is specifically built for durability and traction. For breathability and added medial and lateral support, the upper uses a combination of textile and synthetic elements. Lastly, the shoe makes use of the Cloudfoam midsole foam which offers comfort and responsive cushioning without affecting the overall weight. The Vigor Bounce is a lightweight and affordable trail running shoe from Adidas. It features the Bounce midsole foam which is engineered to deliver responsive and comfortable underfoot cushioning. Along with this midsole, tech is the adaptive Taxion rubber. The rubber aims to deliver maximum protection and traction on varied trail surfaces. For a comfortable foot coverage and adaptive fit, the Adidas Vigor Bounce uses air mesh material on its upper. The shoe has a lighter design compared to Adidas running shoes. It also an average heel-to-toe drop of 9mm. Responsive. Most of the Adidas running shoes are using the notable BOOST technology. Built for an awesome running experience, this technology offers long-lasting responsiveness on daily runs. The Boost foam has also been used in Adidas racing shoes for impact protection and powerful toe-off. One of the key features of Adidas footwear is durability. May it be for off-road or road running, the shoes are made from premium materials. The durability of Adidas trail running shoes are specifically improved by using sturdy rubber material alongside with the Adiwear technology which protects the outsole from early wear and tear. Reasonably-priced. Just like other popular brands, such as Nike, Asics, New Balance, and Puma, Adidas running shoes are available in affordable and expensive prices, ranging from $60 to $200. Expensive Adidas running shoes, such as Adidas Ultra Boost Parley and Adidas Ultra Boost ATR are using premium materials that are highly-durable and reliable. If you are looking for an affordable running shoe, give Adidas Energy Cloud, Adidas Duramo Lite and Adidas Duramo 8 a try. Despite being inexpensive, these shoes perform well on varied paved surfaces. Comfortable. Comfort is one of the key features runners look for in a running shoe. Adidas running shoes offers not just comfort but breathability as well. The upper offers snug foot wrap, and the cushioning also delivers comfortable underfoot protection. Comfortable in-shoe feel is also offered by a seamless upper construction. Footwear technologies. Adidas never comes last in terms of shoe technology. In fact, their innovations have garnered their models’ prestigious awards in the past. Old technologies are constantly developed and incorporated in their new models, from the upper to the outsole. Upper technologies include the GeoFit technology, ClimaLite technology, Gore-Tex technology, HUG System and Ortholite technology. Midsole parts include the Phylon, Phylite, EVA (Ethylene-Vinyl Acetate) and the Polyurethane material. These are further improved by cushioning technologies such as the Boost technology and Bounce technology. As for the outsole, runners will trust the abrasion-resistant and durable Traxion technology and adiWEAR technology. Popularity. The best Adidas shoes have garnered a number of awards in the past. Their long-standing presence in the shoe industry and dedication to improving their performance line make them deserve the recognition. Through the years, Adidas shoes were included in prestigious lists of running shoes, such as Runner’s World’s “Best Running Shoes” and T3’s “Best Marathon Shoes.” Adidas continues to manufacture the best performance footwear for running, so expect to see their models in future lists of the best. Pricing. Adidas shoes are considered to be some of the most reasonable footwear options on the market. Their performance line does not disappoint in keeping the running community happy, from the casual beginners on their way to their first marathon, to the professional athletes who hit the track a few times in a week. Entry- level shoes are priced between $80-$100, which is already decent for fitness enthusiasts and running beginners. 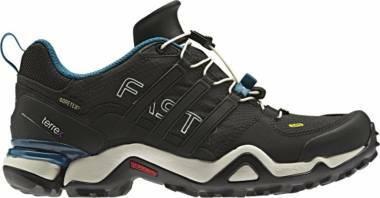 As for their technical shoes for the road and trail, you can expect as expensive as $200, and they are usually running shoes with top-notch technologies, like Gore-Tex technology (GTX). Can I wear my Adidas running shoe at work or on a casual day? Aside from the performance-driven design, Adidas running shoes are also known because of their street-ready design. Several of the Adidas running footwear, except for trail shoes, are not bulky and they have a fairly lightweight construction. Some runners are using their running shoes on casual walks and even on gym trainings. It’s okay to wear your running shoes at work, just make sure they are comfortable and breathable. The fit should be snug, so it won’t give any pressure or pain on your feet after wearing for several hours. Black, white, gray running shoes are great options on casual days. It is expensive to buy a pair of Adidas running shoe? No. Most of the Adidas running shoes are affordable. There are a few expensive models, but they are made of premium quality. These premium running shoes are built for those who are willing to invest on expensive pair. If you are on a budget, you can still own a pair of running shoe that is durable and reliable. The price tag of a shoe is not an indicator of its performance, said a study. Thus, choose the right shoe that fits your running needs. To enjoy great deals, check out some online stores selling Adidas running shoe. You can also go to your local stores and check some items that are on sale. Is Adidas running shoe better than Nike? Adidas and Nike are two big names in the running shoe industry. They are both manufacturing running shoes for daily use and competition. We cannot generalize if Adidas running shoes are better than Nike’s. Every runner has its specific running requirements and preferences. Getting the right shoe is the key factor to determine if a brand is better from the others. Adidas running shoes features great running technologies, so does Nike. There are also other factors to consider – running mechanism, performance, durability, and price. Is it expensive to buy a waterproof Adidas running shoe? Yes. Adidas waterproof running shoes are a bit expensive. You can get a pair between $150 and $185. These shoes are using Gore-Tex membrane which provides waterproof protection for extreme weather conditions. Examples of Adidas running shoes with waterproof features are the Adidas Terrex Agravic GTX, Adidas Supernova GTX, Adidas Terrex Fast R GTX. The brand is also offering water-repellent shoes - Adidas Ultra Boost ATR and Adidas Pure Boost All Terrain. These shoes are as expensive as the waterproof ones. Are Adidas running footwear true to size? Yes, they are true to size. When buying shoes, make sure to get the right size and comfortable fit. In case you got the wrong size, Adidas offers free and easy returns. Can I buy a pair of running shoe from Adidas in wide or narrow width? Yes. Adidas running shoes are typically available in standard medium width for both men’s and women’s version. However, there are few shoes that are also available in wide or narrow width options. You can check Adidas website ahead to know what shoes are offers in wide or narrow variations. To get the right fit, it is advisable to try the shoe first in your local store. If you are purchasing online, make sure to read reviews on the fit and sizing the Adidas running shoes as well. You need also to keep in mind that brand-new shoes sometimes require a break-in period to get the right fit. What are the best running shoes from Adidas? The Ultra Boost is one of the popular running shoes from Adidas. 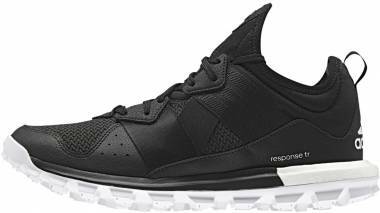 Aside from this shoe, some of the best Adidas running shoes, based on RunRepeat CoreScore, include the following: Adidas Ultra Boost ATR, Adidas Ultra Boost Uncaged, Adidas Pure Boost Clima, and Adidas Tracerocker. Can I use my trail running shoe for road running? Yes, you can use your trail shoes on the road. Some runners preferred trail running shoes because they are durable, and they are using these shoes for their road running and daily training. If you are planning to use your trail shoes, keep in mind that these shoes are heavier compared to the average road running shoes. Some Adidas trail running shoes are heavier but are still comfortable and responsive. Trail running shoes also have additional protection against water, moisture, or mud. What can I expect from the Parley and Adidas running shoe collaboration? Runners can still expect a breathable, adaptive fit in the Adidas X Parley collaboration. These shoes are using a Parley Ocean Plastic™ yarn in its upper. Made from recycled materials, the shoes still offer comfort, breathability, and structural support. Some of the Adidas X Parley collaboration includes the Adidas Ultra Boost Parley, Adidas Ultraboost X Parley, and Adidas Ultraboost Uncaged Parley. This Parley material is also found in some Adidas lifestyle shoes. 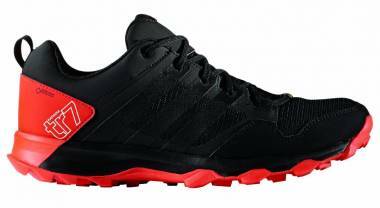 How much is the Adidas Terrex Fast R GTX? The Terrex Fast R GTX is among the expensive trail shoes from Adidas. You can buy a pair at $185. Premium and reliable technologies, such as the Continental rubber in the outsole, AdiPrene+ in the midsole, and GTX membrane in the upper, are used to provide runners maximum trail performance. This waterproof running footwear is also considered as a maximalist shoe with a forefoot height of 30mm and heel height of 38mm.